Picture perfect countryside Read more..
Get lost in Britain's medieval past Read more..
Soak up Britain's diverse coastline Read more.. 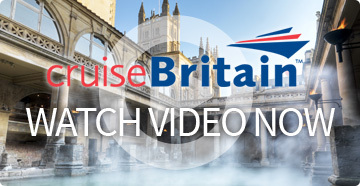 Waiting for you to explore.. Read more..
Cruise Britain is a business to business network of cruise ports, destinations and service providers that’s proudly celebrating it’s 10th birthday in 2019. 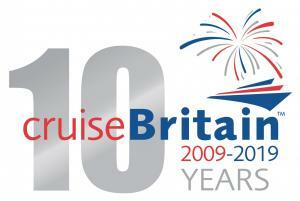 Britain continues to welcome record highs of cruise visitors; will your guests be amongst them? Will they be exploring a nation that’s full of contrasts with a wide variety of landscapes and diverse cultures just waiting to be enjoyed? Our island has a wealth of attractions and experiences to offer your guests, and our ports have the facilities to ensure a seamless experience. Why not spend a few glorious minutes sampling what brings visitors to our shores from all over the world? Just click on our video and sit back. We’re a small island with a huge offering: World-class destinations, cultural landmarks, fascinating heritage, cosmopolitan cities and spectacular countryside. England, Wales and Scotland are all unique countries with their own customs, cultures and tradition and our excellent geographical location within Northern Europe also gives plenty of scope for scheduling calls to neighbouring countries. Within our website, you’ll find essential itinerary planning information including a wealth of things to do, attraction ideas and the key contacts for each of our members – all within clicking distance. And finally, the warmest of welcomes to two new members – the port of Fowey in Cornwall and Visit Hampshire/Discover England Fund Cruise Project. We are really looking forward to welcoming you, your ships, your passengers and your crew to everything that Britain has to offer.